The best Hairdressers have the ability to look at someone's hair type, face shape, lifestyle and give them the perfect haircut. The perfect haircut has the potential to boost your confidence by masking imperfections and enhancing you best features. One of my favourite cuts is the Pixie which funnily enough, looks hot on the pixies amongst us. 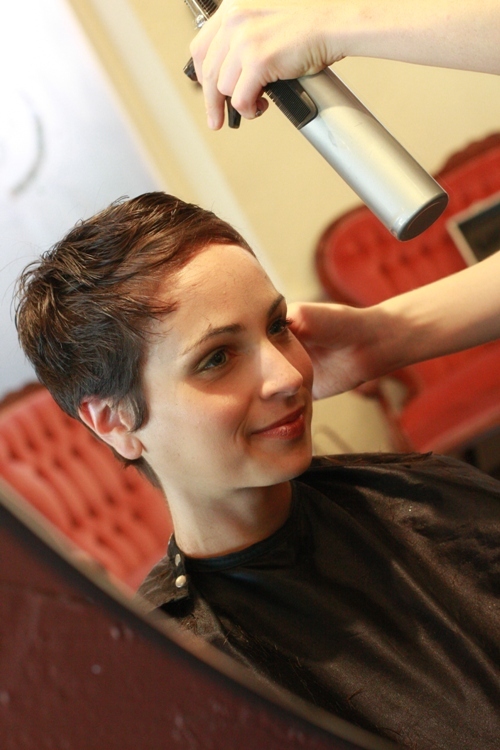 The Pixie haircut works best on women with fine, straight hair. Petite features such as high cheek bones and large eyes are accentuated with this hairstyle. 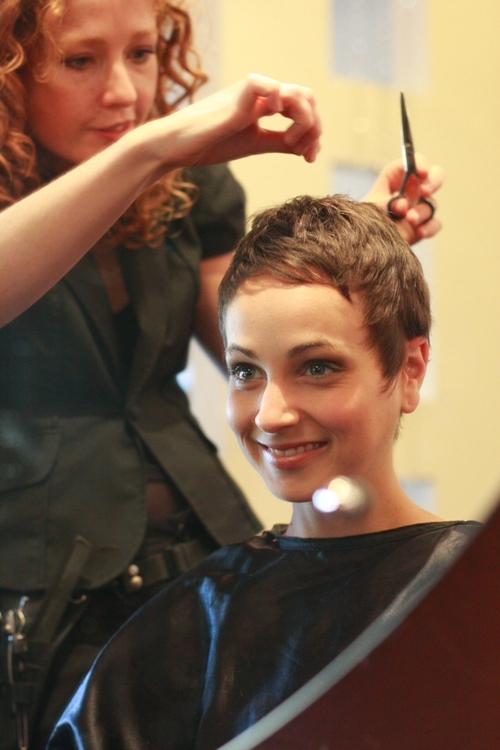 The Pixie haircut is very easy to care for and can be worn casually or dressed up for special occasions. The Pixie has been brought back in to the spotlight by celebrities such as Agnes Dean, Victoria Beckham, Keira Knightly and now my beautiful model Dani. Define texture around the hairline and throughout the style by using the thumb and index finger to twist small sections of hair together. The same twisting technique can be used to create an edgier finish if the hair is lifted up and styled higher through the top. Variations on the Pixie can be achieved by leaving a longer fringe like Rihanna. This section can be swept across the face or quiffed back. A big thanks to Belinda Leopold for taking the pics.